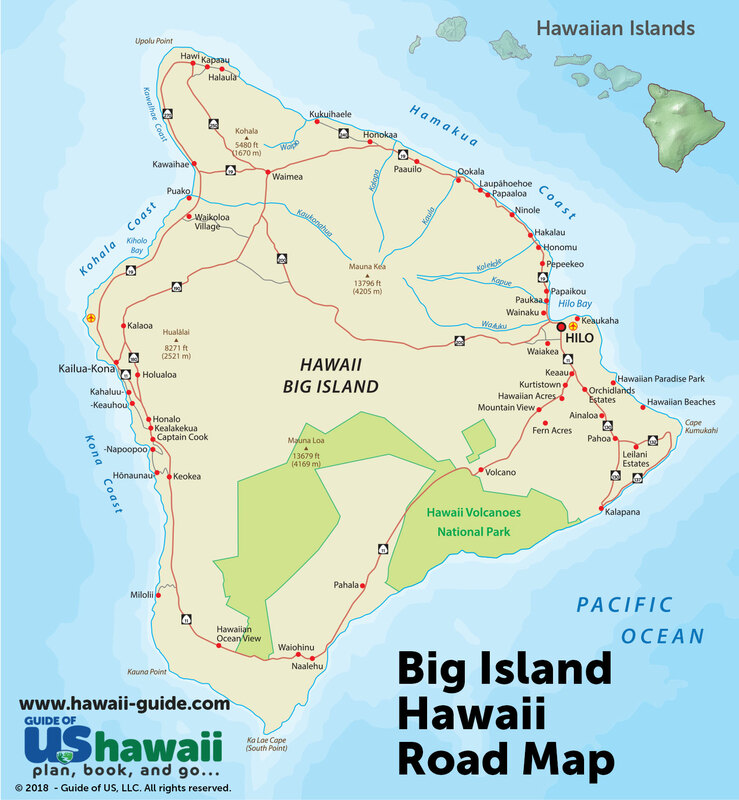 The Big Island is by far the largest Hawaiian Island, as well as the most diverse in terms of climate. With so many different regions, elevations, and precipitation clusters, the contrasts can be quite stark. That's why we're including these handy maps here- to help you get a better idea of what to expect during your stay. 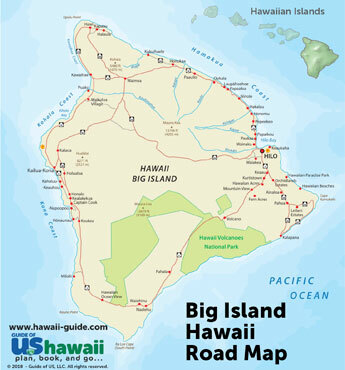 Below you'll several different maps of the Big Island of Hawaii, including both a simple (with mileage) and detailed map of the Big Island of Hawaii. Any map can be clicked on to enlarge it to full size. All of these maps can also be purchased from us as high resolution (330dpi PSD) print-ready files. Please contact us if interested in purchasing any of these maps. Thanks to its incredible size and huge variety of climates and landscapes, Hawaii is an explorer’s dream… name it and you can likely do it here. Gaze at the stars on Mauna Kea. Soar over incredible volcanic landscapes. Go horseback riding in some of the planet’s most beautiful valleys. And that’s just for starters! Peruse our handpicked Hawaiian tours and activities and let the adventures begin. And remember, don’t wait to book you favorite tour, as we pick only the best activities and they can fill up fast! Imagine a lovely bed and breakfast surrounded by heavenly gardens and thousands of Kona coffee trees. Or maybe a comfortable vacation rental for fun with whole family. Need some pampering? Then a hotel and spa getaway is just what you need to rejuvenate. Find your best Hawaiian accommodations, book now, and get ready for the stay of a lifetime. Planning a Hawaiian vacation can seem daunting; you probably have so many questions: What are the best sights? When is the best time to visit Big Island? How can I see lava? Where is the best surfing? 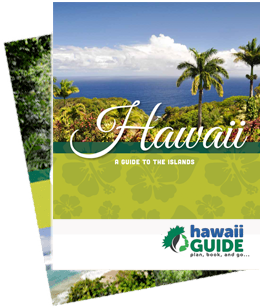 All the information you need to plan your perfect Hawaiian getaway is right here. Let’s be honest: you can’t have a great time in paradise if you have a sunburn or ill-fitting hiking boots. Oh, and you’ll need a selfie stick for snapping great pics of your adventures to share with your friends back home, of course! Find all the best Hawaiian travel essentials right here in one convenient place.